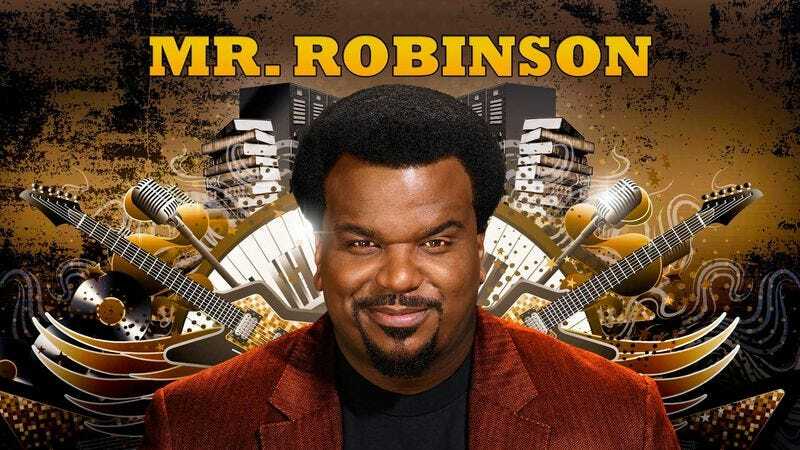 Is Mr. Robinson an alternate timeline spin-off of The Office? Hopefully! Here’s what’s up in the world of TV for Wednesday, August 5. All times are Eastern. Wet Hot American Summer: First Day Of Camp (Netflix): Joshua Alston is taking it day by day with his Wet Hot American Summer: First Day Of Camp coverage, and today is episode four, “Auditions.” Psst, don’t tell Craig Robinson, but this is our real top pick. Lucha Underground (El Rey, 8 p.m.): Consider this all a public service announcement: Ultima Lucha hours two and three are tonight. If you didn’t watch hour one last week, do yourself a favor and get to it. Get to it! LaToya Ferguson will be right here waiting for your reactions. Deutschland 83 (Sundance, 11 p.m.): In the season finale of Deutschland 83, “the West continues with its nuclear war game, and Martin, unwelcome on both sides of the border, contemplates a way to keep the East from making a devastating mistake.” Ah, so this is going to be a light finale, Brandon Nowalk. Hedgehogs, man. What’s up with them? Read this latest Inventory from Becca James for Pets Week and find out. Snoopy, man. What’s up— Alright, that one doesn’t work as well. Still, check out Evan Rytlewski’s For Our Consideration piece on the powerful friendship between Snoopy and Charlie Brown, also for Pets Week. And if you’re not a fan of pets but enjoy a good Random Roles, then you’re in luck: Gwen Ihnat spoke to singer/actor Rick Springfield for the latest edition of Random Roles. No hedgehogs allowed. Melissa & Joey (ABC Family, 8 p.m.): Melissa & Joey is ending. In fact, this is the series finale of Melissa & Joey. “Just as Mel is gearing up for a senate campaign, she gets some shocking news.” So, she’s pregnant, right? Sorry for the deductive spoilers. America’s Next Top Model (The CW, 8 p.m.): There are now 22 seasons of America’s Next Top Model. There are now 22— No. This will not happen again. MasterChef (Fox, 8 p.m): “Find out whose cooking will go south and who will continue in the competition in the all-new ‘A Little Southern Flare’ episode of MasterChef.” We don’t take too kindly to demands around these parts, MasterChef. A simple please and thank you would suffice. Life On The Reef (PBS, 8 p.m.): Life On The Reef still sounds pretty awesome. But sadly, its season is ending afer a whopping three episodes. There’s a category five cyclone heading toward the reef—how will humans and animals alike cope? If this is a cliffhanger, we’re going to be really miffed, Life On The Reef. Baby Daddy (ABC Family, 8:30 p.m.): Hey, Reba fans! Baby Daddy’s season (not series—always a bridesmaid, never a bride, you know?) finale is here, and what perfect way to get those ratings than by busting out the Reba reunion. Reba McEntire guest stars as Bonnie’s (Melissa Peterman) best friend Charlotte, and boy does she just Reba everything up. You know what we mean: “when Charlotte takes over and everything starts going wrong, Tucker does some digging and discovers that her intentions aren’t totally pure; turns out she has revenge on her mind for a long-ago grievance.” A single mom who works too hard? Sure, Reba. Extant (CBS, 9 p.m.): Back-to-back new episodes of Extant! Extant! The first one is titled “You Say You Want An Evolution,” so you better prepare your slow clap right now. Extant! Why? With Hannibal Buress (Comedy Central, 10:30 p.m.): It’s true that Why? With Hannibal Buress has been pretty shaky so far, not quite knowing what sticks and letting certain bits go on for far too long. But isn’t that kind of the fun part? Seeing all of the growing pains? Just us? Fine then. Kung Fu Panda (ABC Family, 6 p.m.): It’s Pets Week!